It is not about program versions. Part of the problem that prevents fixing this problem is with communication between us. The current version of Firefox Quantum uses the name "Refresh" for a procedure, where Firefox ESR uses the name "Reset." The two procedures do the same thing. The Firefox Reset/Refresh procedure fixes errors that are in Firefox's current user Profile file. 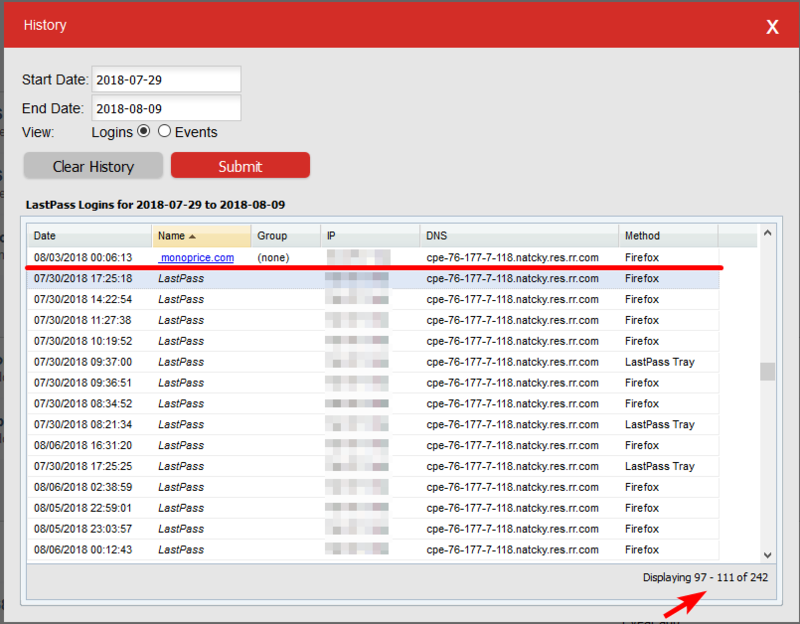 I was able to get LastPass to work correctly with ESR (To sustain the LastPass login between startups of Firefox) by using the Reset procedure. So I conclude that the need to log LastPass back in is only a symptom of the problem. The real cause of the startup/login problem is with a corruption in the Firefox user Profile file, which contains user history, cookies, etc. The Profile file is reread every time Firefox starts. The corruption probably originally occurred during the users past Firefox usage. Finally, it is not the fault of LastPass. I don't know who is at fault and I don't care. 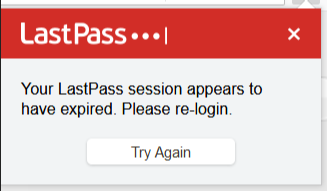 LastPass logs out when I close Firefox, every time. I want this fixed. Please. There are already six pages in this complaint; isn't that enough? Are there any developers at LastPass who care about the users? Hello? HP laptop; Windows 10 Home; Firefox 61.0.1 (64). David206 Wrote: I don't know who is at fault and I don't care. LastPass logs out when I close Firefox, every time. I want this fixed. Please. Have you tried refreshing your Firefox profile? No. I don't want to have to reinstall several addons, just months after buying this new laptop and its Windows 10 OS. If Firefox has a bug that corrupts profiles, it should be fixed. As I said, I don't care who is responsible, the bug should be fixed. Before I retired from software engineering, I always put bug fixing as my top priority. And I did not stop work until the bug was fixed and tested. I was held to a quality standard by my company, whether it was a big company like Digital Equipment Corporation or a tiny company like Brainstorm Technologies. Software I developed went out without bugs because I had it reviewed by my peers and because I did detailed testing in various environments. There are always bugs in software, since we do not have the techniques and discipline that hardware engineers follow routinely. It is up to software engineers to fix the bugs and up to their managers to encourage them in that pursuit. Back in my day (1970s-1980s) bugs got fixed. There was none of this nonsense of ignored customer complaints! Mozilla and LastPass should hang their heads in shame. EDIT: I was literally logged out of LastPass' extension and this forum in the middle of typing this post and even *this* page refreshed. Wow. This is blindingly bad. This is a widespread bug. Yes, refreshing/resetting Firefox with a new profile works. But, that removes extensions (with their settings! ), notification permissions (a must-have these days), my toolbar customizations, etc. There's a serious bug here. No other extension has similar issues: RES, Pocket, Timeline Support, etc. All of these require a persistent login: every extension stays logged in, except LastPass. Thus, I posit it's much more likely this is a "LastPass extension corrupting the Firefox profile" bug--a LastPass bug, not a Firefox one. Otherwise, we would expect other extensions to would be behaving similarly (as would websites). But every extension and every website stay logged in....except LastPass. I'm logging into LastPass 13+ times a day; 144 logins over 11 days. https://i.imgur.com/h30Fsgb.png Just insane! My support ticket with LastPass was opened in April 2018 and now has over 53 replies with five different LastPass representatives (I don't know how, but more than one representative can reply to a single ticket). You won't believe this. In the middle of typing this post, I was logged out of the LastPass extension, this website, and the page refreshed, thus I lost this entire post (thank God, I have Textarea Cache installed). Holy cow, this bug is horrendous. What is going on? It's not just the extension: I am being logged out of all domains and subdomains LastPass.com, too. Thus, this bug is most likely NOT a Firefox-originated issue. How is this website losing my session, in the middle of a post, at the same time as the extension?! ikjadoon Wrote: EDIT: I was literally logged out of LastPass' extension and this forum in the middle of typing this post and even *this* page refreshed. Wow. This is blindingly bad. If there was a widespread issue of people getting logged out 13+ times a day, there would be significantly more reports. You've misread that completely: I choose to log back in every time I notice I'm logged out, but others simply do not notice LP has logged out or do not care LP has logged out (because most websites retain cookies and you don't need to repeatedly log in, i.e., use LP). If you only login once after a logout, then you would only be "logged out once a day". The very thread you have stumbled upon was started in October 2017. This bug is just SHAMEFUL for LastPass and LogMeIn. ikjadoon Wrote: You've misread that completely: I choose to log back in every time I notice I'm logged out, but others simply do not notice LP has logged out or do not care LP has logged out (because most websites retain cookies and you don't need to repeatedly log in, i.e., use LP). If you only login once after a logout, then you would only be "logged out once a day". I have been an unpaid contributor on this support forum for over six years, with over three of them being a moderator, which means that in part that I approve items in the moderation queue. I can tell you from experience that If there is a "widespread bug" with a LastPass browser extension, people flood this place to report it. Occasional reports over the course of several months contradict your assertion that random session terminations are a "widespread bug." The fact that you state the behavior goes away with a new profile, but appears after adding on third party items seems to suggest that you need to test LastPass against those components. No, actually LastPass engineers (if there are any left) need to test LastPass against other addons. It is not the responsibility of users to test commercial software, AND IT NEVER HAS BEEN, ANYWHERE (I say this on the basis of having worked in many software companies big and small over a 40-year period). There is no evidence that LastPass has done ANY work to fix this family of bugs. For example, there is no record of LastPass adding other popular addons and doing in-house Alpha testing to see if there are any negative interactions. You can't expect to find subtle bugs if you just act defensive and don't exercise the product yourselves!